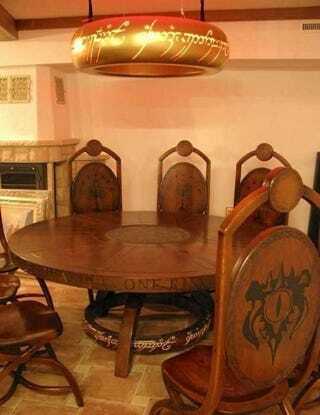 One dining room to rule them all, one dining room to feed them; one dining room to bring them all and in the darkness seat them. I also imagine this thing is a hell of a gaming table, too. It was born for rolling 3d6.